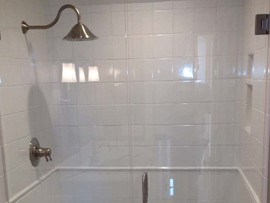 Bowling Green Glass designs and installs custom tub and shower enclosures to fit any space, creating the most aesthetically pleasing and functional shower systems. 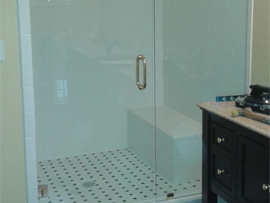 We offer personalized support to assist you in creating a custom shower enclosure that will best suit your needs; from single door to complex configurations, using 3/8″ or 1/2″ thick glass. 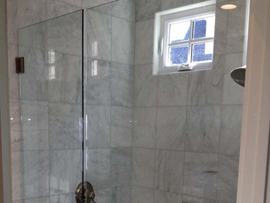 For customers who may not require custom design, Bowling Green Glass also offers a wide selection of standard shower doors in a variety of sizes and styles. Choose from clear glass, decorative pattern or colored glass options. 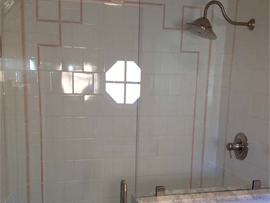 To add an extra level of personalization to either a custom or standard shower, Bowling Green Glass offers glass etching. An etched design can make your shower glass the focal point of your bathroom while offering a great way to better express yourself in your home. Call us today to set up a meeting with our in-house artist to help create the design that best suits your life. When you call us, make sure to ask about the glass surface protection system, which repels water and oils from your shower doors.